Providing emergency services 24/7 365 days a year! Since 1987, J & H Plumbing LLC has been a local leader for plumbing service in Mesa, AZ. Serving residential and commercial customers, we provide everything from installation, service and repairs, to water softeners, purification systems, drainage work and beyond.  With 24-hour service available and decades of experience, you’ll never need to call another plumber ever again! We’re licensed for both residential and commercial services (Lic. #ROC187220 and #ROC187219). We have 24-hour emergency services available, so you can get the help you need quickly at any time of the day or night. Our business is proud to be recognized by the Better Business Bureau (BBB), Angie’s List and our local Chamber of Commerce. We’re a locally-owned, family-operated business with a strong reputation for excellence in the services we offer. We’ve been in business since 1987 and have decades of professional, hands-on experience to show for it! When you need reliable plumbing services, provided by industry experts with decades of experience, trust none other than, J & H Plumbing LLC. As the area’s premier plumber in Mesa, AZ, we’re able to assist customers with their plumbing needs, no matter what the scope of work might entail. Trust us for installations, service and maintenance in your home or business, as well as numerous other plumbing projects—including water treatment and conditioning. Our goal is to keep the water flowing steadily and cleanly for our customers, without any leaks or damages that put your building at risk. At J & H Plumbing LLC, we know that plumbing problems don’t always happen at the ideal time. That’s why we make ourselves available 24 hours a day as an emergency plumber in Mesa, AZ. We’ll come to you day or night to stop a plumbing problem in its tracks and set things right, helping you avoid major costs and severe damages. In addition to plumbing service and repairs, we also take pride in being your plumbing contractors for any remodeling, updates or tenant improvements. Whatever the depth of your plumbing needs, call us first for rapid, reliable solutions, provided by experts who care. Don’t let plumbing problems go unchecked. Contact J and H Plumbing LLC today for reliable service you can count on, day or night. We welcome residential and commercial calls.